Barnsley boss Keith Hill has denied that the club are set to sell young full-back John Stones to Chelsea. The 18-year-old made his first-team debut in March and has made eight appearances for the Championship side. "There probably are rumours but to me it wouldn't be to his benefit because is he really going to play there?" Hill told BBC Radio Sheffield. "It would be the wrong move for him at this time. We've had no contact from them at the moment." Hill added: "It's in his best interests to stay here and continue his development. "He is a player who can go all the way because he's grounded, he's got good football intelligence and he wants to improve." 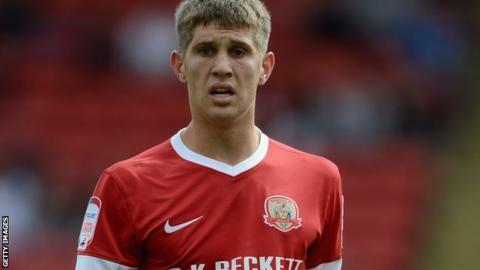 Stones signed a new three-year deal with the Tykes last month.